Tea Parties - Host an English Tea Event! Tea parties are great ways to entertain friends and meet new neighbors. When demands on time are ever-increasing, having a tea gathering is a great way to unwind and spend valuable time with friends and loved ones.slow down and unwind. While hosting a tea does not need to be elaborate, one way to create a special experience is to throw a party with a British tea theme. The English have tea at 4 p.m., so that is the time to schedule your tea gathering. Be sure invitations state the hours, from 4 pm to 6 pm, to avoid anticipation of dinner. Decorating for this theme is easy. Use lace handkerchiefs, books or jewelry for a British Victorian look. Add flowers for elegance – try yellow roses to symbolize friendship – a white lace tablecloth, a little satin ribbon, and your tea service for a decorative table. Serve tea with well adorned pastries or light sandwiches such as cucumber or watercress finger sandwiches. Scones should be served with whipping cream and jam. In addition to your tea equipage, each guest will require a matching teacup and saucer, spoon and fork, small plate, and cloth napkin. You also will need a plate of lemon wedges, a container full of packets of sweeteners, and servers for whole milk. Lumps of sugar instead of regular refined sugar add an extra something that will delight guests. Your invitations should reflect the theme. For a British tea party, hand address and mail 10 to 14 days before your party date. Ask guests to RSVP 5 days before your event so you will have enough time to plan. You'll want to brew a number of different teas for your guests to enjoy. Suggestions include an Earl Grey blend, English Breakfast tea, and a decaffeinated offering. In addition, you may want to consider a flavored green or herbal tea. 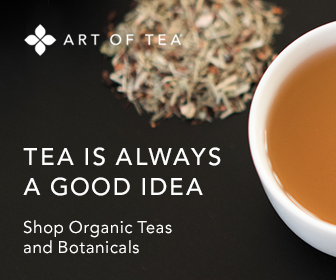 To get some ideas on the types of teas you want to serve, it may be helpful to peruse the selection of unique loose leaf teas offered by Art of Tea, which can be found by clicking here. While not a necessity, it is a nice gesture to offer small gifts or party favors to your guests. Try for special chocolates or other candies, notebooks or other mementos that will remind your guests of your special time together.